WTB Doc. for Medal for Development of the Non-Black Earth Region of the RSFSR. < Closed > WTB: WTB Doc. for Medal for Development of the Non-Black Earth Region of the RSFSR. 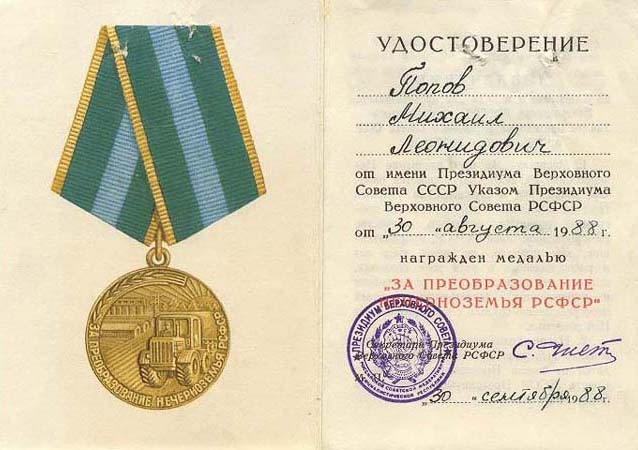 Document / Card for Medal for Development of the Non-Black Earth Region of the RSFSR.